When Should I Buy a Pony For My Child? When is it Time to Buy Your Child a Pony? Parents know that children go through phases. Toys and games that were all-consuming last week are now under the bed collecting dust. Many little girls seem to go through a horse crazy phase. But for some it's not a phase, but the beginning of a life-long passion. How can you tell when it's not a phase and that it's time to buy that first pony? 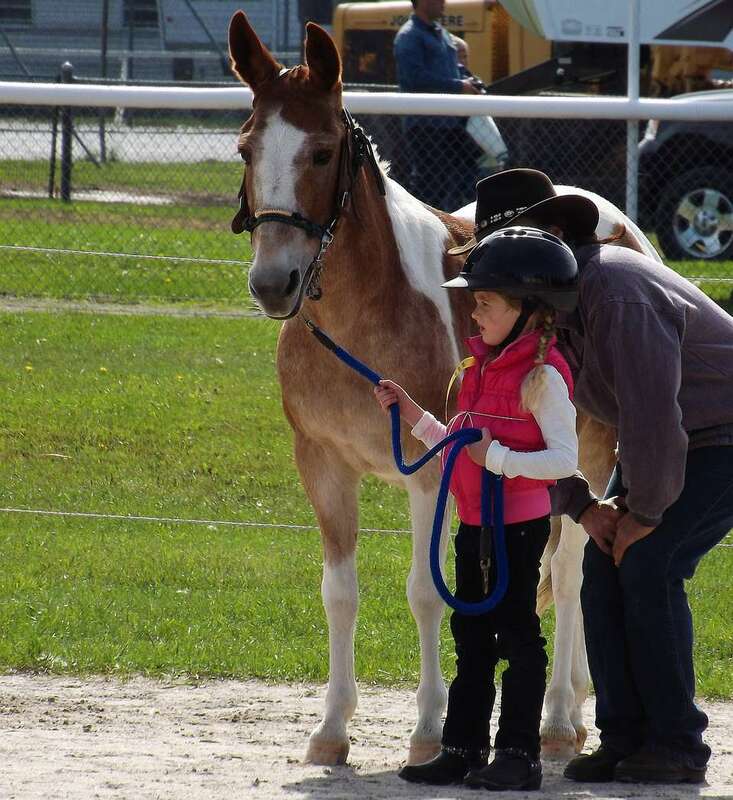 Answer: Before you consider buying a pony, your child should be taking riding lessons. Help your child learn all they can about keeping a pony. Your child will need to know how to lead, groom, saddle and bridle, muck out stalls and keep a pony healthy. Lessons and clubs like Pony Club are the best places to learn this. Is your child eager to get out the door and ready with helmet and boots, or do you have to remind them that it's time to leave and be properly dressed for their lesson? Observe your child during lessons. Are they attentive and enthusiastic, or does their attention wander? Do they brush the instructor off and answer every instruction with 'I know', or do they try to apply what they are being told? Do they have a positive attitude and are they eager to learn and participate in all aspects of the lesson, from catching the pony to bring it in, to unsaddling it and putting it back out? Or do they get off the pony and hand it to the instructor? Are they only interested in riding, and show little interest in horses in general? Or, is learning and thinking about horses a big part of their day? Are they enthusiastic about being invited to equipment and stall cleaning sessions, or do they avoid any extra work? Do they like just hanging out at the barn and helping out with any little jobs they are capable of? Or, do they have to be reminded to finish chores they've been given? Are they responsible and caring about any pets the family already has? If your child shows enthusiasm for all aspects of riding and pony care after several months of lessons it might be time for their own pony. Don't feel you must hurry though. If you aren't really sure, extra lessons, part boarding or leasing are other options until you are confident that it's time to buy a pony and commit fully to entering the horse world. Is It Time for Your Child to Have Horseback Riding Lessons?